eBay will acquire e-commerce and interactive marketing service provider GSI Commerce for a reported $2.4 billion in what is being called the company's biggest acquisition since Skype. The deal, which was announced today, is subject to regulatory and shareholder approval but expected to be completed sometime during this year's third quarter. Once approved, the deal will be eBay's second largest acquisition ever, and its biggest since 2005, when it bought Skype for $2.6 billion. The acquisition will make eBay more competitive with Amazon by allowing it to cross-sell GSI services to eBay sellers, reports Jordan Rohan, an analyst with Stifel Nicolaus. "They are paying a reasonable price to be more competitive with Amazon," Rohan says. eBay President and CEO John Donahoe adds that the acquisition will also benefit GSI's 180 customers, which include AutoZone, Borders and Toys "R" Us, by allowing them to leverage eBay's marketplaces and PayPal services for their items. "We intend to lead the next generation of commerce innovation," Donahoe says. "The acquisition of GSI, which offers the most comprehensive integrated suite of online commerce and interactive marketing services available, will significantly strengthen our ability to connect buyers and sellers worldwide. Combined with eBay Marketplaces and PayPal, we believe GSI will enhance our position as the leading strategic global commerce partner of choice for retailers and brands of all sizes." GSI manages sites for major retailers like Toys "R" Us and Aeropostale, and also manages those sites' marketing campaigns. It also owns shopping site Rue La La, which is only accessible by invitation, and ShopRunner.com, a site that allows members to get two-day free shipping from participating retailers. However, eBay says it will do away with about 70 percent of Rue La La and Shopperrun.com, and all of GSI's licensed merchandise business, because they are "not at core to its long-term growth strategy." These companies will be sold to a newly formed company run by GSI founder and CO Michael Rubin, officials note. "Technology is changing how consumers shop, and retailers and brands are changing how they compete," Donahoe continues. "With its complementary strengths, GSI will extend the power of our portfolio. With eBay, PayPal, GSI and our global platform capabilities, we are focused on delivering new ways for retailers and brands of all sizes—from sole proprietors to large merchants—to drive innovation, engage customers and help people shop anytime, anywhere and on any device." Last year, GSI had a revenue increase of 36 percent, though it has an operating loss of $17.3 million, according to news reports. 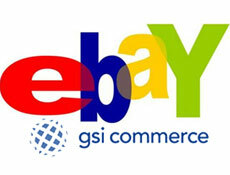 eBay predicts its addition will generate $60 million in "synergies" by 2013. I see eBay's culture becoming anti seller. This will eventually drive away sellers and somebody will take the baton from them as the premier online auction site. If they aren't careful they could end up going the way of Napster, just ask myspace about that. They do not need to catch up to Amazon. It is amazing to me how Ebay worries about Amazon instead of maintaining its own business. Ebay will be its own undoing. I will both love and hate to see the day Ebay folds due to its own stupidity. Amazon has just started turning profits compared to Ebay's billions of dollars -which it wastes- and yet Ebay strives to be like Amazon. Can you be any more idiotic that that? So now we know what's behind ebays determination to alienate small, individual sellers. I hope and pray this turns out to be a bigger boondoggle than Skype was. Ebay will never catch up to Amazon. If they weren't such a bunch of greedheads, it would be pathetic to watch them try. PayPal unit expected to contribute half of company revenue by 2013. Austin city officials offer $1.2 million incentive for 10-year commitment. PayPal growth spurs solid numbers. eBay's investment in the communication service provider ultimately pays off. Acquisition will be a key part of PayPal's X.Commerce program. Marketplace will test a packing and shipping service this year. Marketplaces, PayPal spur growth, acquisition lowers profits. Buys stake in small, fast-growing auction site. Merchant recommendation engine tells users 'Where' to go.